Watch How to Unlock Easily! I hereby certify that above written IMEI# is Correct. If you have bought your Motorola Moto E5 Play from T-Mobile To save some money that means you didn’t buy Motorola Moto E5 Play unlocked and currently you wish to use your Moto E5 Play with another networks however you can’t because your phone is sim locked to T-Mobile. We have a solution for you. You can get your T-Mobile E5 Play sim unlocked while not facing any hurdles. We will give you the simplest and most economical network unlocking service to offer you back your freedom of selecting networks. Kindly, make sure when you open Unlock App, it does not give “Server not responding. Please try again later” error. We will not be responsible in case if you order despite of this error. You can also Sim unlock MetroPCS Moto E5 Play. How To Unlock T-Mobile Motorola Moto E5 Play? The most economical method of network unlocking your phone is by T-Mobile Motorola Device unlock app solution that’s carried out by the assistance of your phone’s IMEI # ( a particular 15 digit set of numbers in each phone). It’s the one most quickest and reliable method and you dont ought to face any problem in any respect. All you have got to try and do is follow some simple steps and you will have Moto E5 unlocked in no time. You can also unlock moto e5 play verizon. Requesting unlock through device unlock app is basic. You should simply supply us your IMEI # and your email address and in the said time we will send you notification of unlocking done remotely on your email address with further instructions. After following those instructions you will have unlocked T-Mobile E5 Play. You can also unlock moto e5 simple mobile. You can read about more how to find IMEI of any phone here. After getting the confirmation of unlocking all you have to do is connect your phone with wifi and open the device unlock app, in the app you need to select permanent unlocking, the app will forward and process your request and then your Motorola E5 Play will be unlocked to use with any network you desire. You can also unlock Moto e5 play straight talk. Your unlocked Moto E5 Play will be very beneficial because of its vast usability its re-sale value will be increased and it will become attraction for customers. You can read more benefits of unlocking your phone here. There are no risks involved in whole unlocking process because this is a 100% legal process and we are gonna go through whole process guiding you till final product as an unlocked phone. You can read more about risks involved in unlocking process here. 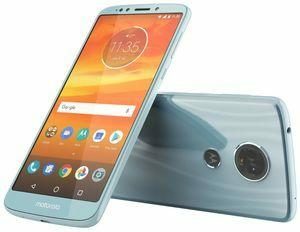 Why Unlock T-Mobile Motorola Moto E5 Play With LetsUnlockPhone? LetsUnlockPhone.com is the name of the brand associated with good reputation for satisfying customers by providing very friendly and respectful customer service. Above all, we provide 100% money back guaranty for our services. We are specialist when it comes to unlocking phones with unlock app whether your phone is from T-Mobile, T-Mobile or EE(england). Kindly, before ordering any service check if “Sim Not Supported” error appears when you change the sim. Kindly, order the unlocking service of network your phone is currently locked on. We don’t unlock security lock from T-Mobile or T-Mobile phones, we only unlock sim network locks imposed by T-Mobile or T-Mobile on you device.